This has to be one of my favorite chicken dishes of all time. The first time I had it was on a dinner cruise in elementary school, and although the chicken cordon bleu I had then was one of the little frozen ones you can buy at the grocery store, I couldn’t get enough of it. Several restaurants make this differently depending on where you go. Some just use the frozen ones I was used to as a kid, while others will roll their chicken breast up with ham and swiss, and others make it somewhat like a sandwich style. While attending culinary school, this was one of my assignments (that I eagerly jumped all over) one night. I had tried out one recipe at home that my cousin had told me she found out about on allrecipes.com, but we both burned the chicken during the cooking process. My cousin also had the same issue with that exact same recipe, so when I told her I was trying a different method, she wanted me to let her know how it turned out (because she also loves chicken cordon bleu). 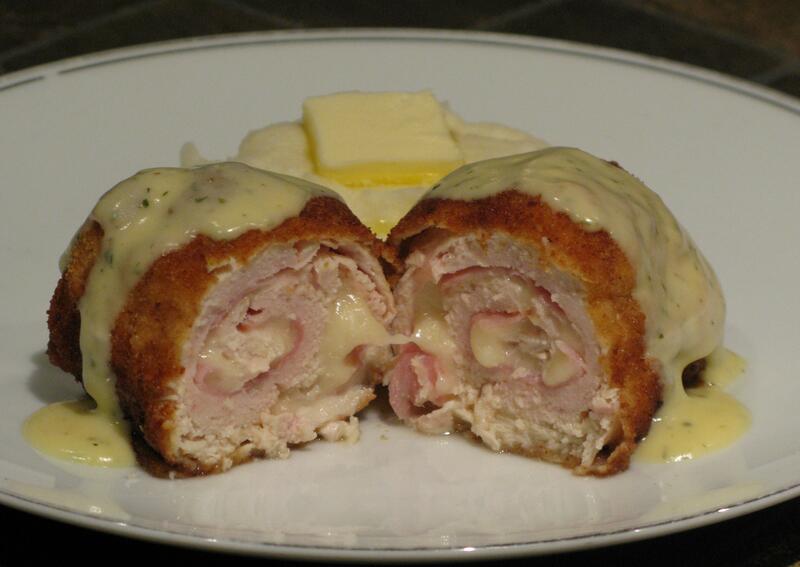 Well, in culinary school when I made this, it was actually with veal…and it was deep fried. When I made it at home, I decided to pan fry the outside for a nice crispy coating on both sides, then baked them for the remaining cooking process. They turned out exactly what I was hoping for. 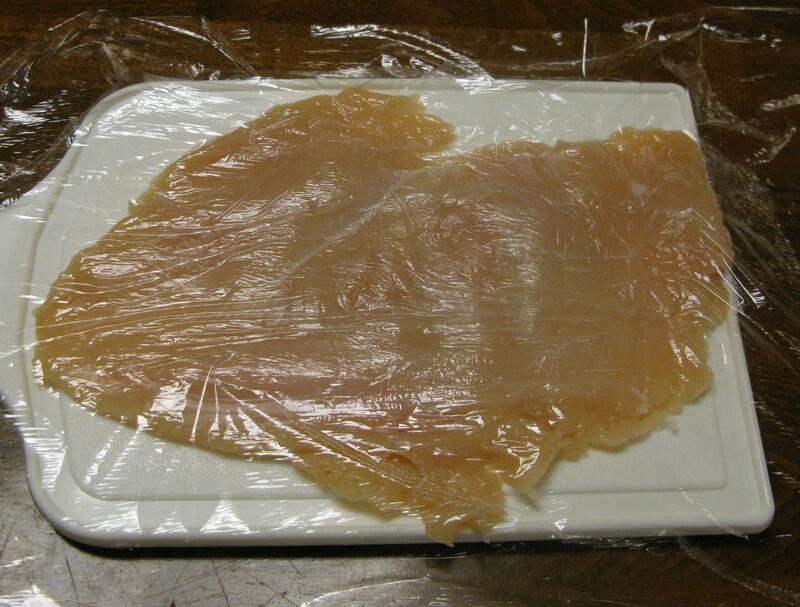 First, trim your chicken breast of excess fat. Place 1 piece of plastic wrap both under and over the chicken, then pound it to 1/4 inch thick. Don’t be afraid to really pound it out, it won’t hurt the chicken…it’s already dead. Place 1 piece of ham and 1 piece of swiss cheese on top, making sure it’s not the same width as the chicken. As you can see here, I tore the cheese to make it even with the slice of ham. Roll the chicken up tightly with the ham and swiss, making sure to tuck in the sides. Place in refrigerator for about 15 minutes. Prepare your dredging station. 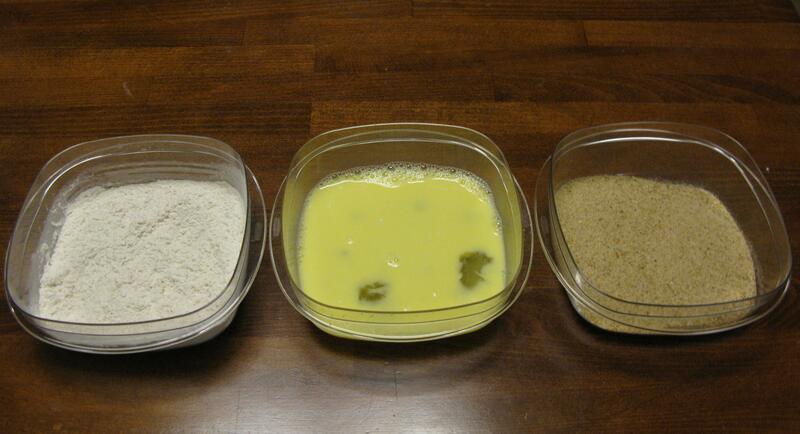 Three containers for seasoned flour, egg wash, and breadcrumbs. 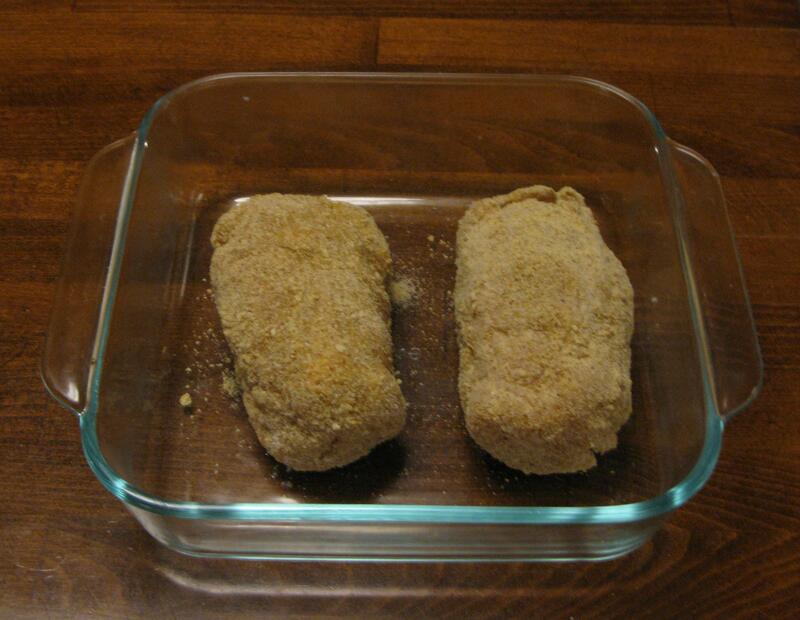 First, roll chicken in seasoned flour, then egg wash, and finally in the breadcrumbs. Make sure the entire piece of chicken is covered by all three. Return to refrigerator for another 15 minutes. In a sauté pan, fill with canola oil, about 1 inch deep. Turn heat to low/medium. Make sure oil is hot before placing chickens in there to fry. Fry to a golden brown on each side, return to baking dish. Bake in oven at 350 degrees for about 30-40 minutes, or until internal thermometer reaches at least 165 degrees (VERY IMPORTANT FOR CHICKEN TO NOT BE UNDERCOOKED…unless you want food poisoning, of course!). Sorry for the tip, but school scared the heck outta me with food poisoning and undercooked food. Especially chicken. Make your other side items and béarnaise sauce while chicken is baking (I made some creamy mashed potatoes with this). Top chicken with sauce, or even put some in small sauce dishes for dipping. I hope you enjoy this as much as we did! 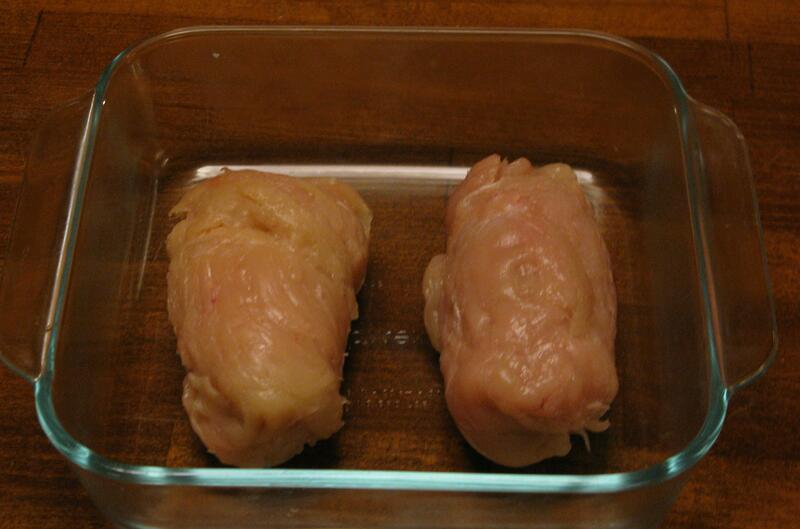 First, trim your chicken breast of excess fat. 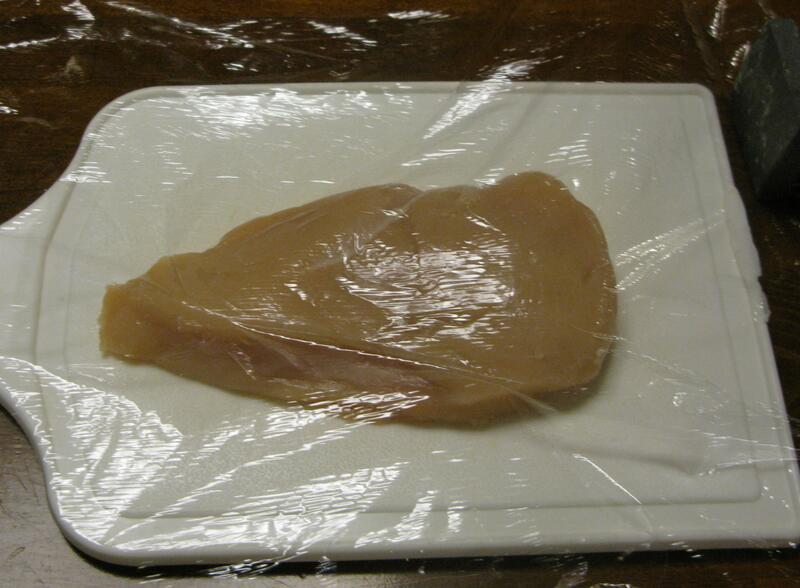 Place 1 piece of plastic wrap both under and over the chicken, then pound it to 1/4 inch thick. Place 1 piece of ham and 1 piece of swiss cheese on top, making sure it’s not the same width as the chicken. 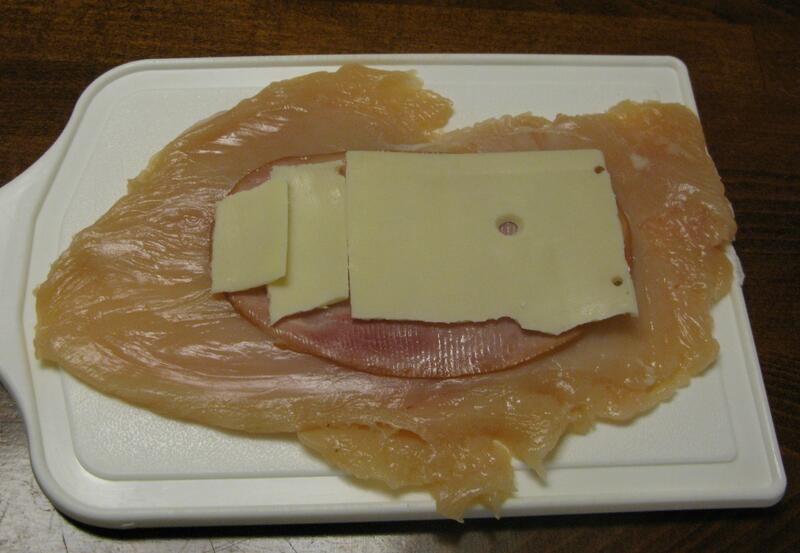 Roll the chicken up tightly with the ham and swiss, making sure to tuck in the sides. Place in refrigerator for about 15 minutes. Prepare your dredging station. Whisk together the flour, paprika, salt and pepper. Three containers for seasoned flour, egg wash, and breadcrumbs. 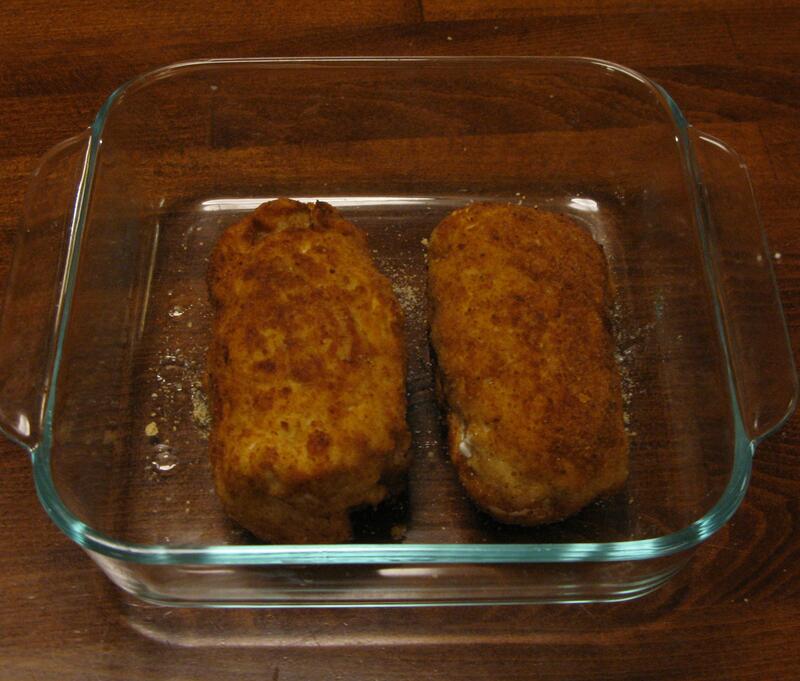 First, roll chicken in seasoned flour, then egg wash, and finally in the breadcrumbs. Make sure the entire piece of chicken is covered by all three. Return to refrigerator for another 15 minutes. In a sauté pan, fill with canola oil, about 1 inch deep. Turn heat to low/medium. Make sure oil is hot before placing chickens in there to fry. Fry to a golden brown on each side, return to baking dish. Bake in oven at 350 degrees for about 30-40 minutes, or until internal thermometer reaches at least 165 degrees. Top with prepared béarnaise sauce (I just grabbed a packet of the instant sauce at the grocery store).